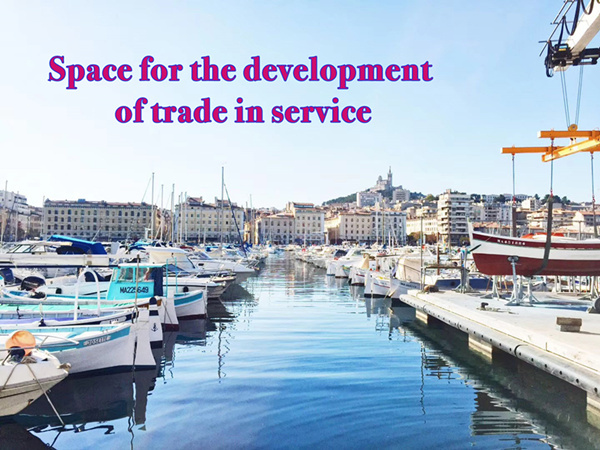 Service trade is featured by low resource consumption, low environmental pollution, large employment capacity and high added value, and has become a new driving force to promote global economic development. In line with the development of global service trade, China’s service trade has maintained a sound momentum for development in recent years. The total import and export volume of service trade has kept an average annual double-digit growth, which has become a crucial pillar for the growth of foreign trade. However, it needs to be noted that although China’s service trade has grown rapidly, its development level is not yet high, the overall competitive edge of export of service trade is not sharp, and the service trade deficit is still relatively huge. At present, in face of the rare development opportunities as well as the challenges posed by changes in international trade rules and intensive global competition, we need to grasp the present opportunity, cope with the changing challenges, deepen the institutional reforms, further optimize the development environment of service trade and vigorously expand the space for its development. We need to actively explore new areas and measures for the further opening up of service sector and take multiple measures to promote the development of service trade. First, we need to combine opening up the service sector with deepening domestic reform to inject new impetus to the development of China’s service trade. Second, we need to accelerate the development of market entities in service trade and build Chinese service brands. Third, we need to make great efforts to promote the development of a multi-outlet market for service trade. We need to actively explore more service trade markets in countries along the Belt and Road route, deepen bilateral cooperation in the service sector, make full use of institutional mechanisms such as free trade agreements and bilateral investment agreements to propel the development of China’s service trade. 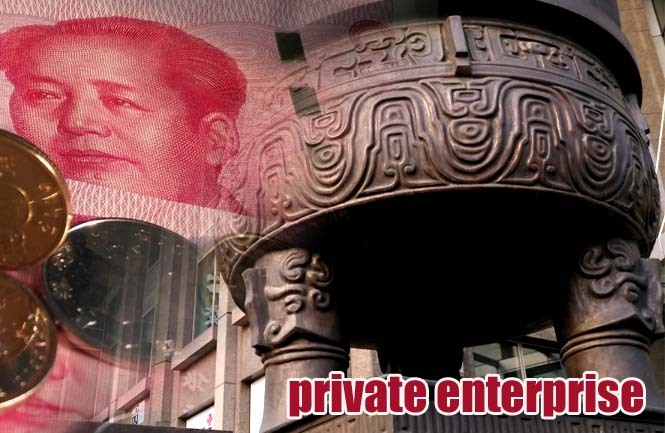 Fourth, we need to redouble efforts to develop China’s offshore service outsourcing business along with the establishment of related platforms, and focus on the service outsourcing business in the fields of software and information technology, R&D, designing, the Internet and medical service. We need to further strengthen the protection of intellectual property rights (IPR) and improve the effectiveness of law enforcement. We need to continue to flesh out relevant laws and regulations on IPR protection in China, speed up the establishment of Patent Law, Copyright Law, Anti-unfair Competition Law, and pertinent laws and regulations, and improve laws and regulations related to business models and works of applied art, Internet Plus, e-commerce and big data in order to enhance the quality and efficiency of IPR approval. We need to fully leverage the leading role of the judicial protection of intellectual property rights and perfect the cross-department and trans-regional coordinated mechanism of IPR law enforcement. The main responsibility of law enforcement entities need to be strengthened. By raising the compensation standard for IPR infringement, introducing a punitive compensation system, reasonably sharing the burden of proof, and incorporating intentional IPR infringement into the credit records of enterprises and individuals, we could strengthen law enforcement on intellectual property rights in key areas and vigorously crack down on all kinds of infringing acts. We need to take an active part in the restructuring of global economic and trade rules and gain a bigger say in formulating rules and institutions. China needs to grasp the pace of deepening domestic reform and opening up wider to the outside world, actively participate in the restructuring of international economic and trade rules, put forward new issues and rules that are in line with the development interests of developing countries, and increase China’s discourse power and right in formulating relevant rules and institutions. The “special and differential treatment” is an important bedrock of the World Trade Organization. This principle cannot be denied, or it will shake the foundation of the multilateral trading system. We need to strengthen the role of development in international economic policy coordination and have a clear perspective on development when discussing and formulating rules on service trade so as to create common development opportunities and space for all countries and provide a robust driving force and stable environment for world economic growth.